Industrial Properties is the Industrial Division of the Firm. 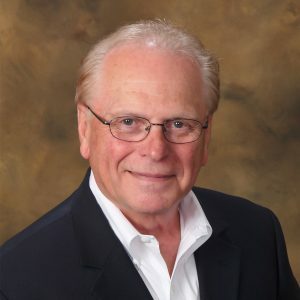 Our goal is to relocate desirable Commercial Companies to an area or locations that they can thrive, to give information to our clients based on my contacts and experience from my 45+ years in the Commercial Real Estate business. “Industrial Properties” has created an “Industrial Team” to locate Communities that will welcome Industrial businesses into their areas. These Communities must have Industrial zoned properties available for sale or lease with infrastructure in place or quickly able to be provided. The area must have access to highways and possibly rail, for speedy delivery of products and access. We choose Communities that will provide a home for Businesses to produce a product at an economical cost. Requirements may include reasonably priced housing, a sizable labor force, favorable tax advantages, reasonable land costs, quality schools, adequate medical services, convenience to shopping areas, close proximity to an airport, a progressive local government, and a Community that desires to expand their tax base and cut their unemployment rate. The “Industrial Team” targets the Industrial Companies that build or distribute products to be used or resold. ‘Location, Location, Location’, as the saying in business goes, is not the number one reason an Industrial Company will choose an area. Through our studies and experience we have determined that the preferred location for these companies would be in a community where businesses can operate at an economical cost. Certain communities or areas can provide this valuable location and a terrific environment for family life. FOR SALE 80 AC Hwy 503 & NE 144th St.
FOR SALE80 AC in 7 ParcelsPurchase All or OnePublic Water in Street 144th St & Hwy 503Homes & Private Septic on 3 Parcels13934 NE 132nd Ave- 992 SF Home w/ 2 Small Out Buildings14211 NE 117th Ave- 912 SF Home12301 E 144th St.
Hwy 503 & NE 116th St.
3.45 AC200' Hwy 503 Frontage & 2.70 AC Commercial, East End of Parcel . FOR SALE1.06 AC - Light Industrial Zoned1,380 SF House w/ 440 SF Attached Garage & Workshop 12 x 24 - Immaculate Condition1/2 Block West of Hwy 503Frontage on NE 131st St.
9.57 AC - Large Lot CommercialZoned Commercial C-2Green Mountain Rd & Old Pacific Hwy (Belmont Business Area)Green Mountain Rd FrontageArea of Growing Business PopulationMany National Companies Already in AreaEasy Access to I-522 Miles to Vancouver, WA 30 Minutes to Portland Inter. AirportPossible Owner Financing 25% Down/ 5% Int. 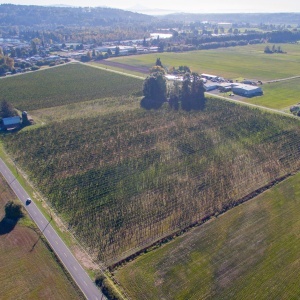 This offering presents the opportunity to acquire 6.79 acres of commercial zoned land located in Ridgefield, WA. The property has great freeway exposure/access and can be seen by 92,000 vehicles per day.The property is located on S Dolan Rd and is just a few minutes away from the I-5 Freeway. SALE PENDING• 46.83 AC Parcel• Tax ID #507350-141• Within Woodland City Limits• Zoned Heavy Industrial• Located at the intersection of Pekin Rd and Goerig Rd• Surrounded on 3 sides by Caples Rd, Goerig Rd and Pekin Rd. SALE PENDING1.14 AC Commercial CR-2/ Add. 1.16 AC Adjoining- 2.3 AC Total $804,000All Buildings are on 1.14 AC Parcel/ 1.16 AC is a Land Only Lot 2 Tax Parcels - Purchase 1.14 or All 2.3 ACOn Public Water w/ Private Septic2,460 SqFt House/Office with small garage 50’ x 100’ Shop (14’ clear height)Paved Parking AreaCyclone Fenced.